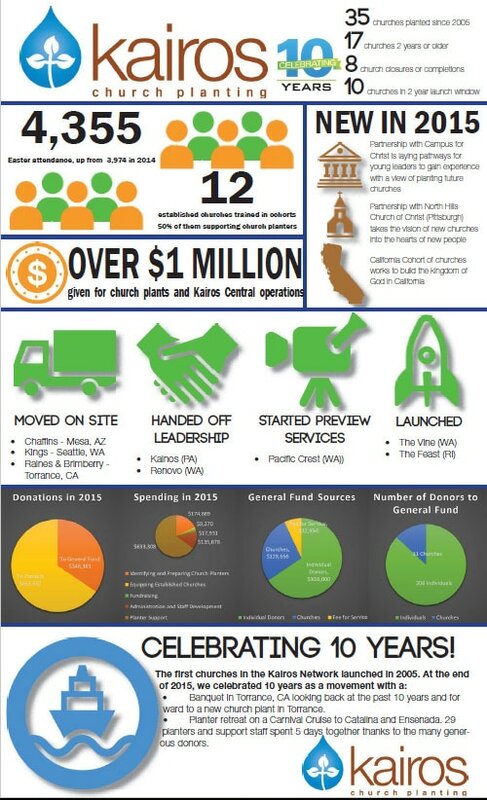 This visual recap of what happened in the Kairos network in 2015 shows established churches were trained, planters were identified and launched new churches, and more people were meeting in new churches than ever. Each number on this report represents a story–a life changed, a donor deciding reaching new people in new places for Jesus is worth writing a check for, a planter leaving security and home for the sake of spreading Good News. ​Click here to view a pdf of the annual report. We are thankful to God for each of these stories. And we are thankful to you for your prayers, your support, and your belief that God’s lost people are worth it.